Someone should probably let the rest of the company in on the secret. Dominion’s website still insists the company has three Virginia onshore wind projects in development, and it included 247 megawatts’ worth in its latest Integrated Resource Plan (IRP). 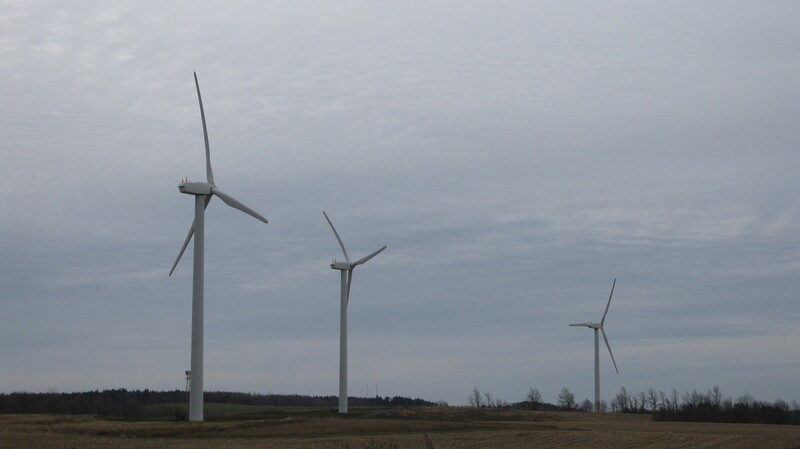 But the plan reflects the company’s cooling enthusiasm for wind energy, with the projects now slated for 2022-2024. This is disappointing news, but it certainly isn’t a surprise. Dominion proposed its Virginia wind farms back before fracking caused natural gas prices to nosedive, undercutting the economic case for wind. At that point, Virginia’s lack of a real RPS meant Dominion had no incentive to build higher-priced generation, and every reason to believe the State Corporation Commission would reject a wind project, as it did similar proposals from Appalachian Power. Advocates may wonder, why solar and not wind? Wind would seem to be cheaper, after all, and a single utility-scale turbine provides more power than hundreds of home solar systems. The IRP offers part of the answer. For a utility, not all power is equal. Dominion has plenty of power for times when demand is low; the challenge is filling in the peaks and valleys of demand above that minimum level. Dominion needs the most power on summer days when solar produces well but wind does not. The other part of the answer is price. This will surprise people who have seen the rock-bottom prices of wind power in places like Iowa and Texas, where wind outcompetes even natural gas. But it’s cheap to build wind among cornfields or on open rangeland, where access is easy. It’s more expensive to do it in the eastern mountains, where narrow, winding roads pose logistical challenges. The result is that wind power in the Southeast will cost about double what it costs in the Plains, according to the most recent Lazard analysis. By contrast, Lazard calculates that utility scale solar power costs only about 20% more in the Southeast than it does in the dry, sunny Southwest, where utility-scale solar has reached grid parity. So while the best wind prices are well below the best solar prices nationwide, solar may be cheaper than wind in Virginia. Lazard’s analyses are based on actual projects, but it also makes some predictions about where prices are headed. It projects unsubsidized utility-scale solar prices of six cents per kilowatt-hour by 2017, confirming predictions of widespread grid parity made by other analysts like Citibank and Deutsche Bank. If you’re concerned about meeting EPA carbon emissions rules, or just concerned about the environment, period–or you want a reliable and stable-priced resource to hedge gas–solar makes very good sense. Given these price trends, Dominion’s enthusiasm is entirely understandable. But surely it has some explaining to do, after years of trashing solar to legislators and the SCC. It has gone so far as to slap standby charges on customers who generate their own solar power. And as we’ve seen, its own forays into rooftop solar can’t be counted a success. But perhaps we could all let bygones be bygones. If Dominion would focus its efforts on utility-scale solar while allowing the removal of barriers constraining the private market for commercial and residential solar, all of us would be winners. This entry was posted in Renewable energy, Solar and tagged Clean Power Plan, Dominion Resources, Dominion Virginia Power, IRP, solar, State Corporation Commission, wind power. Bookmark the permalink. Gettrick did not address offshore wind at all, Anne. Power from the two test turbines is in the IRP for 2018. Beyond that, Dominion is clearly not ready to commit.